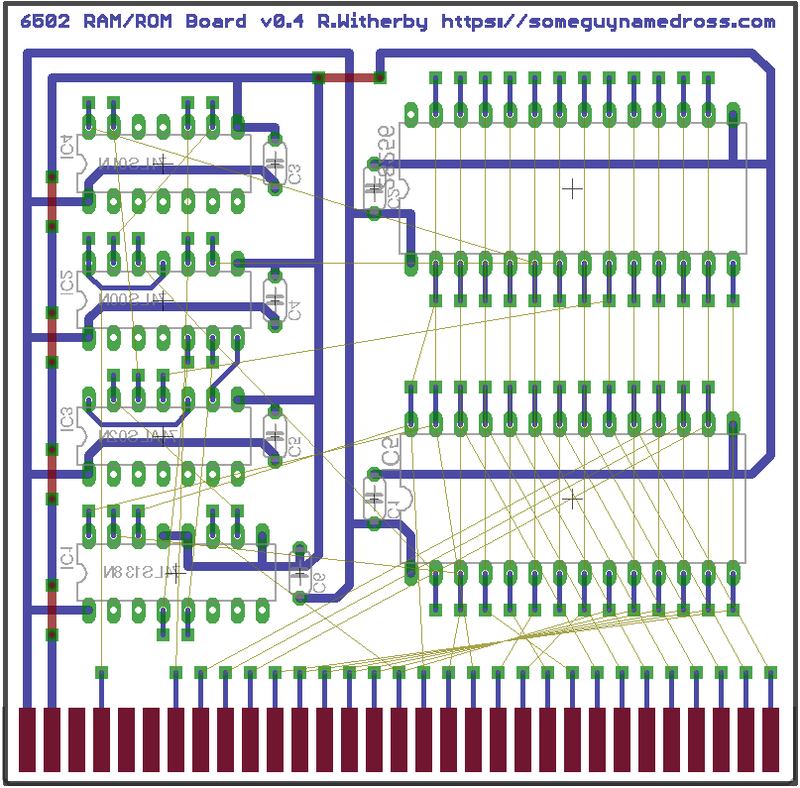 Some time after that I read on Hack-a-Day about a 6502 based computer that Quinn Dunki was working on named Veronica, and instantly knew that I’d love to make something similar. While not an exact copy of Quinn’s work, the design I have cobbled together does resemble hers quite a bit. 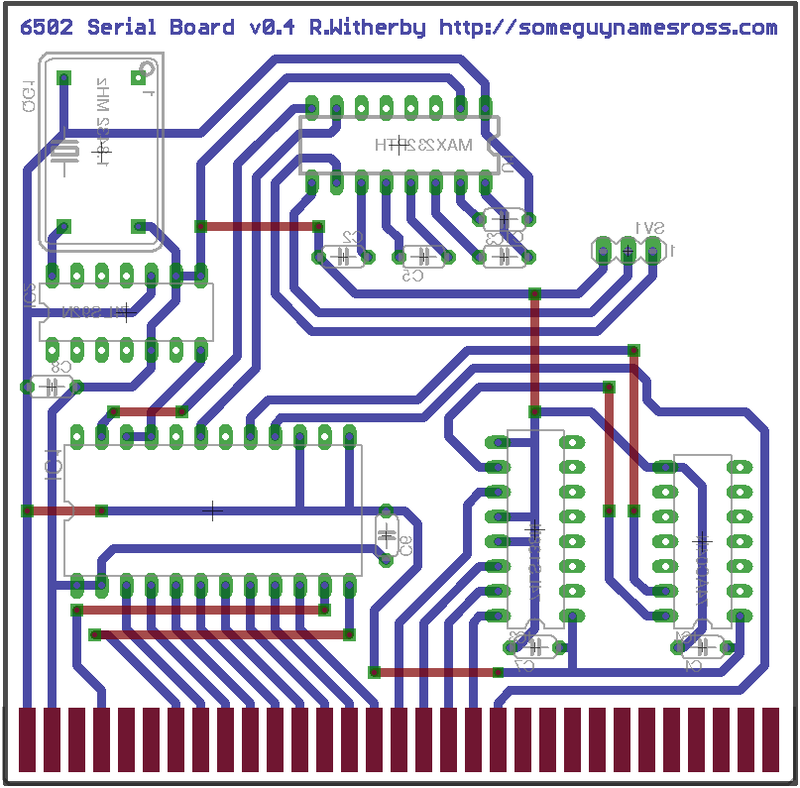 My design is primarily based off of Grant Searle’s microUK101 design which itself is based off the UK101, a fairly early kit based machine. Both of those pages have huge amounts of information and are very well worth a read. I certainly read over them a fair few times to get my head around it all! Just a few quick things, basically a warning to anybody reading this… I’m a “computer guy”, I earn a living working as a computer technician/network engineer. I have no formal training in the field of electronics (as I am very sure many of you will notice), most of this stuff is self taught. Accordingly, things on this page may be horribly wrong. If you do spot anything that is wrong, please let me know! Building this computer is a way for me to learn more about electronics, mess with some hardware this is older than me for a laugh and have a bit of fun while doing it. If I stuff things up on the way to completion, hopefully I will have learnt something from those mistakes. 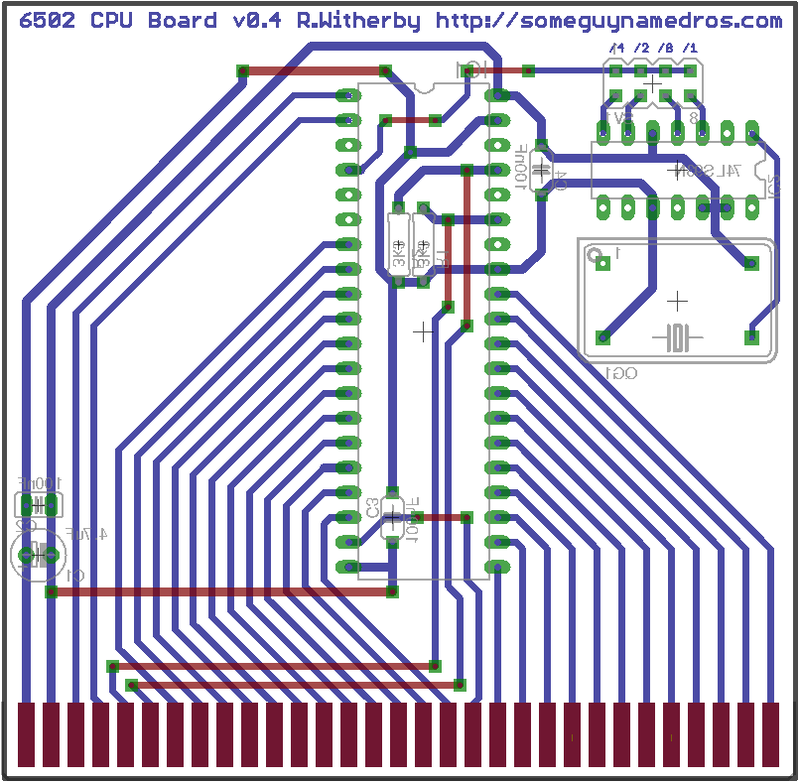 The 6502 computer project begins! 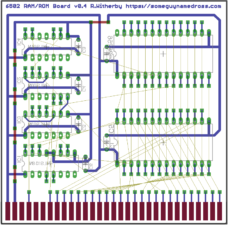 After reading over Quinn’s Veronica pages several times I started looking around for more information about various old CPU’s and systems I could base my own off. 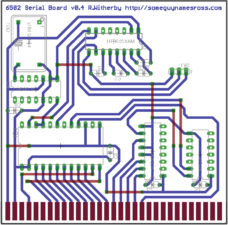 Very early on I decided on the 6502 as there were so many stable designs using it, and I figured this gave me the best chance of putting together a working computer. 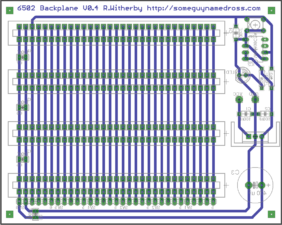 After a fair bit of reading I decided on building Grant’s microUK101 design on a passive backplane borrowed from Quinn’s Veronica design. 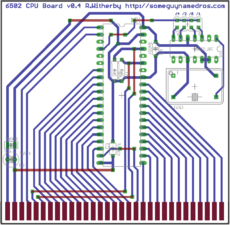 After further research and many hours sitting in front of Eagle, the following PCB’s were created. 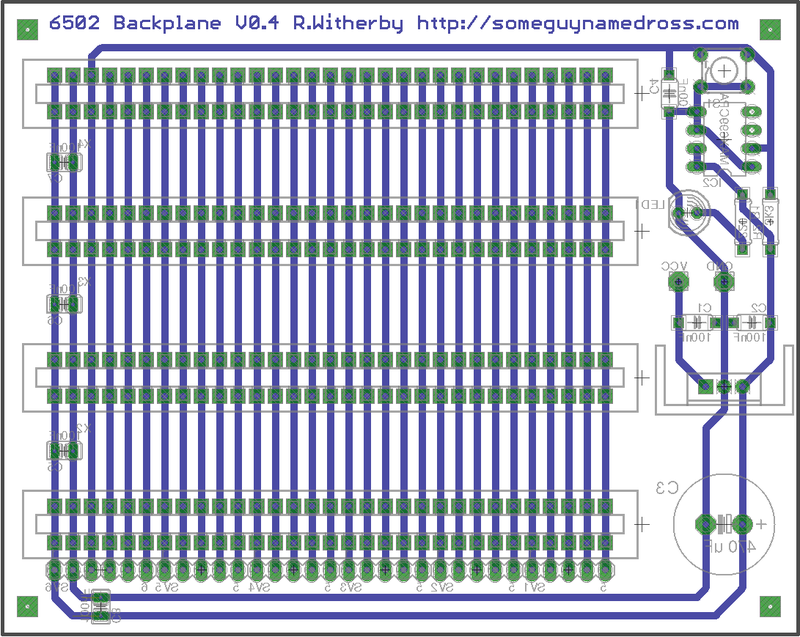 Using the free version of Eagle was a bit of a challenge, the backplane just fits within the board size limitations.